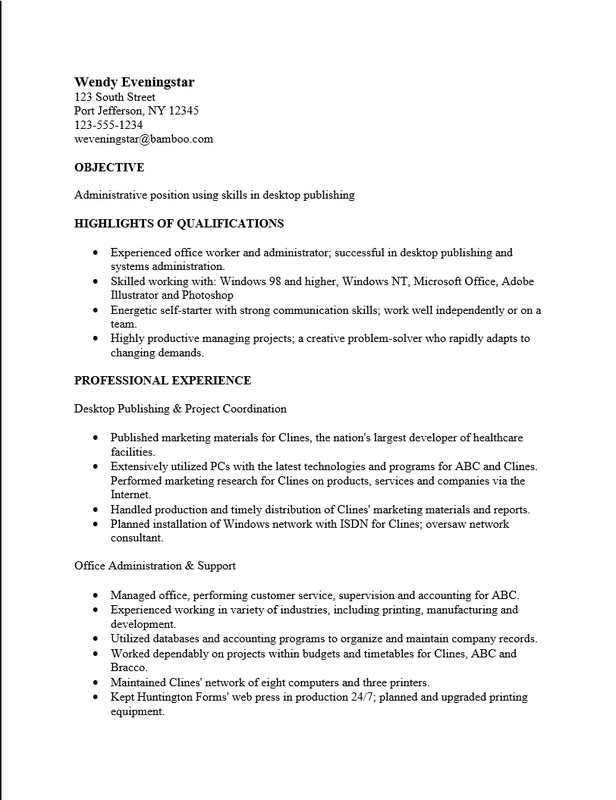 The Functional Customer Service Resume Template is an alternative to a standard resume template. In this style there will be a higher emphasis on skills, experience, and knowledge. This enables a more extensive list of one’s abilities and technical knowledge. The Functional Resume format is a good choice for those who have a limited number of previous employers. For instance someone who has worked for twelve years or so for only one employer would have a strong skill set despite having only one entry under “Employment History.” This can be a valuable presentation method in such an example. 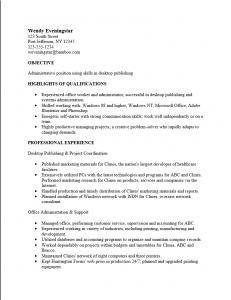 One wants a stylish and sleek looking resume however should avoid too much empty space making the Functional Administrative Assistant Resume Template a wise choice in such cases. Step 1. Fill out your name and contact information at the top of the page. Step 4. The next section will be the “Professional Experience” section. This will be a list of your abilities and experience which make up the skill set you possess relevant to the position for hire. Currently these are divided under several sub-headings: Desktop Publishing & Project Coordination and Office Administration & Support. You may compose content appropriate to these sub sections or devise your own sub sections. Step 5. The “Work History” section is a list of your previous employments. Here, report the date range you were employed in, your job title, the name of the company, and finally the city and state. Step 6. Report your academic credentials in the Education section. Record the school you attended, its location, coursework, notoriety, or awards.